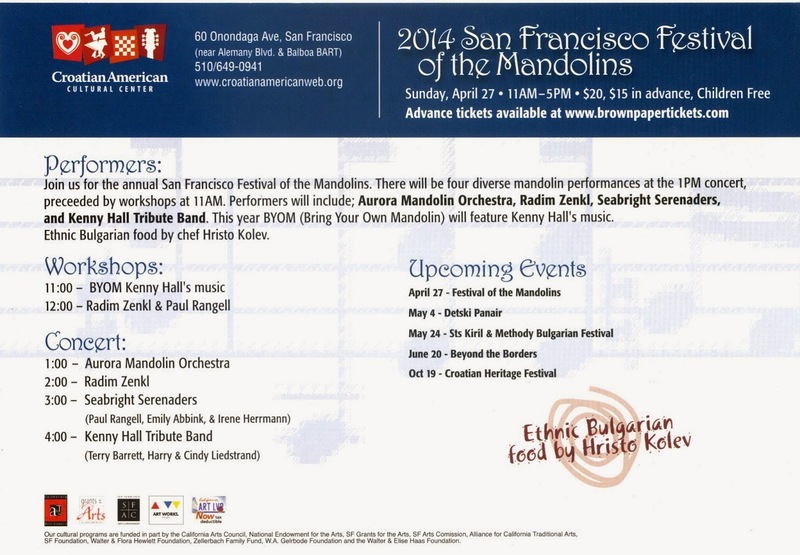 We are excited to be featured in the San Francisco Festival of the Mandolins on April 27, 2014. Our good friend and musical accomplice, Irene Herrmann, will add harmony and bring her shining musical contributions. She is a direct link to two of our main sources - Riccardo Tunzi and Tony Flores, having worked with them for years in the 1970s-2000s. We call ourselves the Seabright Serenaders. 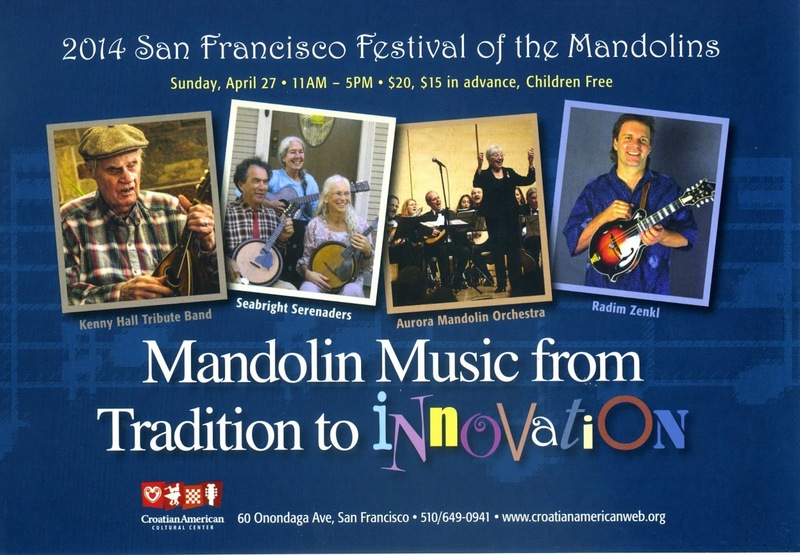 You are cordially invited to attend and witness the rich traditions and legacy of mandolin repertory as represented by the four ensembles that will be playing. Sharing the bill with such illustrious players is indeed an honor. This is a lovely one day event that allows participation as well as concert listening. We will offer a one hour workshop prior to the concert festivities.